Notaro stressed that she never gave anyone at SNL permission to “use anything” from her film. “I hesitated to even address any of this, but I think it is only right to defend my work and ideas and moving forward,” she continued. 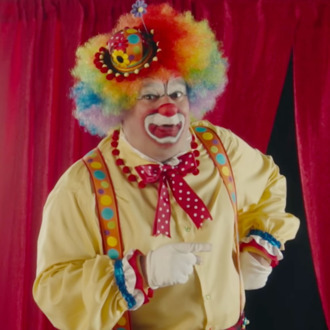 “I plan to continue screening Clown Service with the joy and pride I always have.” It’s unclear if Notaro will pursue any legal action against the NBC series, but watch the two videos above to decide the similarities for yourself.